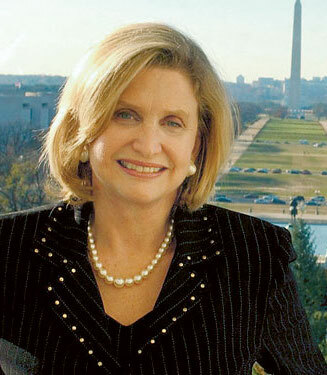 East Hampton, N.Y., August 30, 2016 – Yesterday Congresswoman Carolyn B. Maloney (NY-12) wrote to five U.S. financial regulators requesting trading data that the agencies have been collecting since July, as part of implementing the Volcker Rule. The Volcker Rule, named after Paul A. Volcker, former Federal Chairman from 1979 to 1987, is formally §619 (12 U.S.C. §1851) of the Dodd-Frank Wall Street Reform and Consumer Protection Act. The Rule is designed to identify and control the risk-taking of financial institutions. Information on trading information in needed to assist agencies in distinguishing between prohibited proprietary trading and legitimate market-making and hedging activities. This information is also valuable to anyone seeking to understand the exposure to risk of financial instruments and markets. [T]here has been a vigorous debate about the liquidity of certain U.S. fixed-income markets, such as corporate bonds, and about whether the liquidity of these markets has deteriorated in recent years. Data on the inventory turnover, inventory aging, and customer-facing trade ratios in the fixed-income market-making units of the large banks could prove particularly informative in this debate. Compliance with Dodd-Frank has been slow. Some banks have been asking for extensions to 2022 to comply with some of the provisions of the law, and numerous proposals have been introduced to weaken the law. This year's Bay Street Theater (Sag Harbor, N.Y.) production of My Fair Lady is a big hit, extended by several weeks. All the seat sightlines, and the acoustics, are good in this mid-sized theater. I saw the show over the weekend and it was a stunning production with extremely talented acting and singing. The design of the stage and the choreography to my mind was flawless in the context of its challenging stage-area limitations. How the musical came to be, and its importance in the Broadway narrative, is instructive. The lessons of the My Fair Lady story include the persistence of some ancient myths that capture hard-to-describe insights into human nature. There are also some lessons in the casting of the leading lady and some early responses to the show. The roots of the story line go deep. 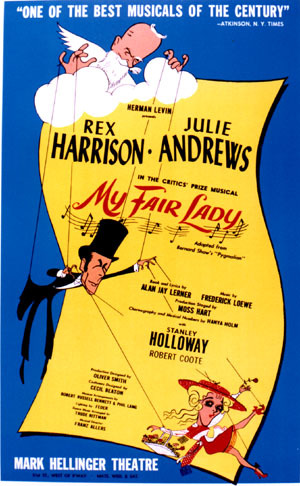 It is well-known that My Fair Lady was based on George Bernard Shaw's play Pygmalion (1913), but that play was in turn based on earlier productions. In Shaw's story, the Cockney-speaking flower-girl Eliza Doolittle is discovered in Covent Garden by Prof. Henry Higgins, a phonetics researcher. He “creates” her, like a statue, by teaching her to talk posh. However, his own boorish behavior means that she has to learn how to behave from Higgins' well-mannered bachelor colleague Col. Pickering. Then, as in the original Pygmalion story, Higgins falls in love with Eliza. Shaw wrote privately that of course by the time she learns how to behave like a lady she would lose interest in Higgins. In 1914, Shaw said he was concerned by Pygmalion's success. "There must be something wrong with the play if it pleases everybody." He gave it deep thought and metaphorically shook his head: "[A]t the moment, I can't find what it is." The play Pygmalion itself is based on an earlier play by W. S. Gilbert (best remembered today as the libretto-writing half of Gilbert & Sullivan). In Gilbert's Pygmalion and Galatea (1871), a sculptor carves many statues of his wife, Cynisca. She at first admires one of them, named for Galatea. But when the statue comes alive, Galatea falls in love with Pygmalion and in her innocence Galatea behaves wantonly, provoking a savage attack by a jealous Cynisca, Galatea decides to retreat back into her previous statue mode. Gilbert based his play on the legend of a Cypriot sculptor told by Ovid and other Latin and Greek writers. Ovid said that after seeing prostitutes (the Propoetides) the sculptor, Pygmalion, became uninterested in women. However, the ivory statue Pygmalion made was so realistic that he fell in love with it. This story is easier to appreciate when we remember that many ancient statues that survive today were painted and originally many of them must have looked highly realistic, like wax statues by Marie Tussaud. Ovid's Pygmalion came to the altar of Aphrodite and prayed for a bride who would be like his ivory girl. When he got home, he kissed his statue and its lips were warm. He kissed it again, and found that the ivory had lost its hardness and had become a warm human being. Aphrodite (Venus in Ovid's version) had given him his bride. He married her and Ovid says they had a daughter after whom the Cypriot city Paphos is named. I wonder how happy Mrs. Pygmalion was. Did she yearn for more independence? In the Italian story of Pinocchio, a wooden puppet is transformed into a "real" boy, because the puppet yearns to be free of the wood-carver, Mr. Geppetto. This seems to be the question that led Shaw to write Pygmalion. We know that Shaw refused to allow a musical adaptation of his play during his lifetime, probably because he knew the conventions of musical theater would require the leading man to get the leading lady, and the character of Higgins would not have mixed well with the new Eliza. He was afraid that Higgins would end up with Eliza, which he thought would be preposterous because Higgins remains at the end a prisoner of his science while Eliza through her mastery of diction and then behavior earns her way to choose freely among possible mates. A non-musical movie, Pygmalion (1938), was produced by Hungarian director Gabriel Pascal, who won for his movie an Oscar for best picture. Shaw thereby became the only playwright to have won an Oscar as well as a Nobel Prize for Literature. The ending of Pygmalion, however, is a copout, because Eliza leaves Freddy and returns to Prof. Higgins at the end, ambiguously (it isn't clear whether how long she will stay with Higgins). Soon after Shaw died in 1950, Pascal became Shaw's executor. He gave Rodgers and Hammerstein the rights, and they went to work to try to make a musical out of Pygmalion. However, they gave up, deciding it was "unadaptable" because–as Shaw insisted–the boy (Higgins) cannot get the girl. Alan Jay Lerner and Frederick Loewe decided they could solve the problem by building up the part of Freddy, aided by Shaw's revised ending for the 1938 movie. Excited by the prospect of a successful musical, Lerner and Loewe went ahead collaborating on songs without first getting rights. They were so far ahead with their project that MGM's attempt to freeze them out failed and Chase Manhattan Bank, now executor of Shaw's estate after the death of Pascal, sold them the rights based on their hit Brigadoon. Lerner and Loewe decided to leave the thread of Shaw's dialog relatively untouched because it worked well on stage. They focused on their songs. Mary Martin didn't like these My Fair Lady songs and declined the part of Eliza. The part was given to Julie Andrews, who went on to star in Camelot and then topped that by getting picked for the role of Maria von Trapp despite Mary Martin's having played the part in the Broadway version of The Sound of Music. Julie Andrews is, perhaps not coincidentally, Trustee Emerita of the Bay Street Theater. Noel Coward was the first choice for the part of Henry Higgins; he suggested his friend Rex Harrison, an inspired choice (he won a Tony for best actor). The resulting musical opened in 1956 and won six Tony Awards, ending after 2,717 performances, the longest run of any musical up to that time. The movie My Fair Lady based on the musical came out in 1964. Rex Harrison kept the part of Higgins, but Audrey Hepburn got the role of Eliza with her singing dubbed. The movie was criticized from several perspectives (the dialog that worked well on stage was seen as too cumbersome for a movie) but was a big hit with moviegoers. My Fair Lady, having won a Tony for best play, then won an Oscar for best picture, only one of four properties to have won both awards. If you really owe the IRS, they will send you a polite letter to let you know. They will never ever call you on the phone. If someone says he’s calling from the IRS, hang up. I get it. A lot of people are super scared of the Internal Revenue Service. The power the IRS has to collect tax debt can instill a lot of fear. But it’s that fear that fraudsters are using to con people into giving them money by impersonating someone from the IRS. I’ve said it before — How to spot a tax scam – but let me repeat it again. — The IRS would not initiate a call to you about a tax debt. You would get a letter that is actually very polite and respectful. The agency mistakenly thought I owed back taxes (Handling a heart-stopping letter from the IRS). I got a letter. Then, I got another letter. What I never got was a telephone call. EVER! — The IRS would not threaten to send police to arrest you. Please don’t let anyone scare you into thinking you’ll be arrested. It’s a lie. Thank heavens for an alert bank employee. I’ve been writing about this scam lately because even folks who spot the scam can still be scared. Here’s one story: “Your morning column about IRS scammers was so timely! I had a harrowing experience with a caller who was extremely persistent and adamant that I owed the government $3,000 plus and needed to pay at least a $500 deposit immediately or I would be arrested,” a reader wrote. “When I protested that I had never received anything in writing, he explained in detail that I had not responded to a mailing and a second mailing had been sent to my ‘back up address’ with no response, so that’s why a warrant had been issued against me. (That’s when I started really suspecting the whole thing.) Even though I was pretty sure from the beginning that it couldn’t be true, he nevertheless frightened me, and it took a lot of strength to tell him I was hanging up to see if I could verify his information before I released any money. Yes, very true. 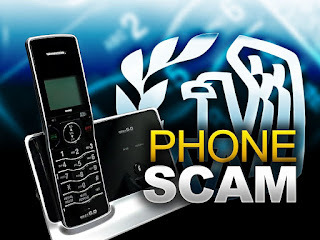 If you get a call from someone claiming to be from the IRS and you hadn’t called the agency, it is 100 percent a con. The predators impersonating the IRS make me want to lose my religion. There ought to be a special wing in prison for them. 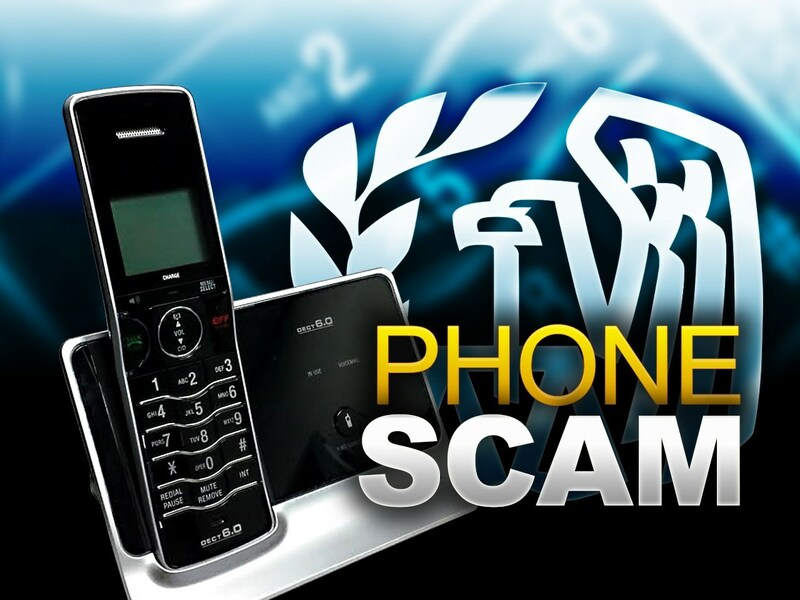 The authorities are fighting this fraud, but let’s help others who could be susceptible to this scam. Let’s start a social media campaign #StopIRSImpersonators. I want you to text, email, tweet and post on Facebook a warning about this con. Each one of you reach out to at least one person and tell them to hang up on these people. We’ve got to help stop this gravy train because the more the scammers ensnare people, the longer this scam stays around. 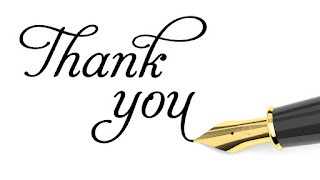 Readers may email michelle.singletary@washpost.com. 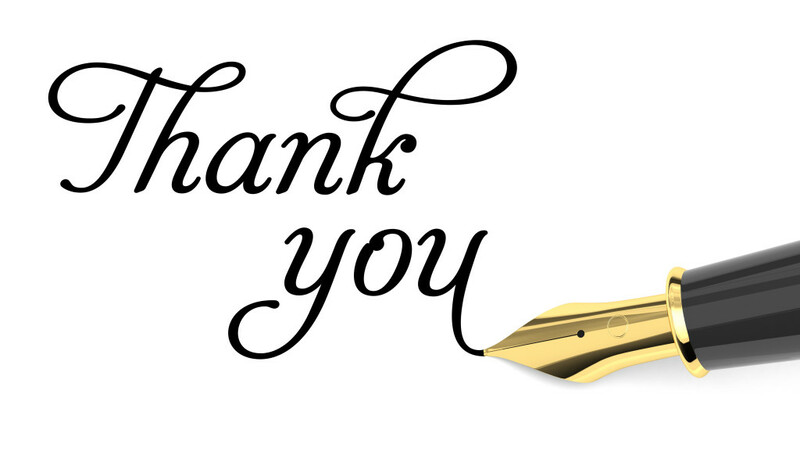 Personal responses may not be possible, and comments or questions may be used in a future column, with the writer’s name, unless otherwise requested. To read previous Color of Money columns, go to washingtonpost.com/business. This day in 1456 the first edition of the Gutenberg Bible was bound and completed in Mainz, Germany, the first complete book printed with movable type, 180 copies. Books had been printed on presses before, but Gutenberg used metal type and made a press that could print many versions of the same text quickly. a rapid system for assembling the type into a full book and then folding the pages into folios, which were then bound into an entire volume. 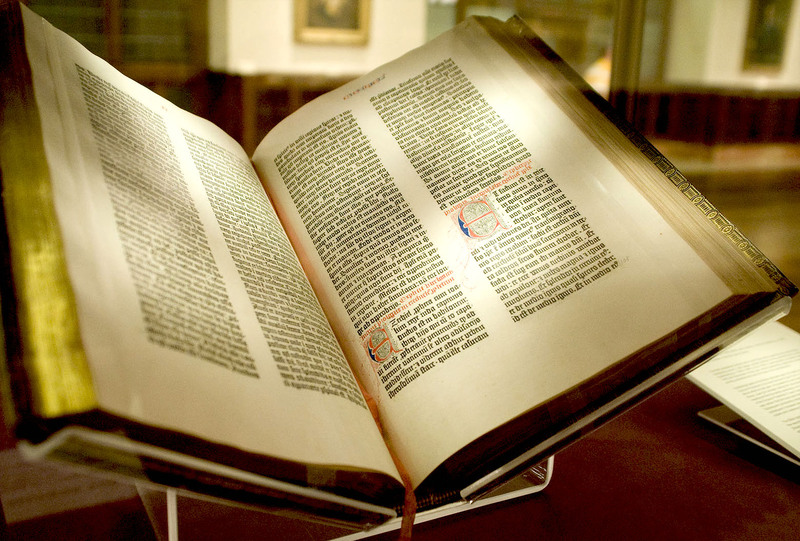 The General Theological Seminary in Manhattan sold a Gutenberg Bible to make ends meet. Will Woodin owned a Gutenberg Bible and there are questions about what happened to it after he died. The New York Times has a detailed story by Graham Bowley on what seems to have been a bait-and-switch transaction that serves as a warning to purchasers of art. 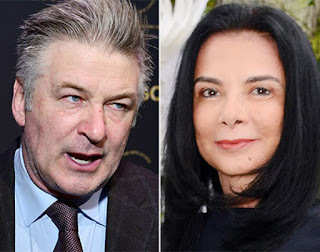 Alec Baldwin believes that a gallery owner, Mary Boone, misled him when he purchased what he believed to be Ross Bleckner’s Sea and Mirror (1996). Baldwin first encountered the piece as a picture on an invitation to an exhibition mailed to him by Boone about ten years ago. Baldwin didn’t buy the work at the time, but carried the picture of it around with him. It sold at Sotheby’s in 2007 for $121,000. In 2010, Baldwin asked Boone to convince the buyer to sell and, according to Baldwin, she provided the piece to him at a premium, $190,000. But in fact he did not get the painting he expected to get. “Ms. Boone sent him another version of the painting." DONALD TRUMP | Why Did He Run as a Republican? LEHMAN | Did It Have to Fail? ED BIZ | Manager-Sharing, Long Island, N.Y.
Sold at Christie's auction in 2010 for $106.5 mil. Artsy has recently posted a truly interesting interactive chart showing, year by year, the most expensive art sold at auction. Often we don't know what a buyer paid for a piece of art. Only at auction is the process of buying and selling in the open. The chart shows each sale, by year, with the price of the art. It documents a shift in buying from the Impressionists to Post-War and Contemporary Art. The artists are 98 percent male. Of the art works, only 8 percent are by living artists. 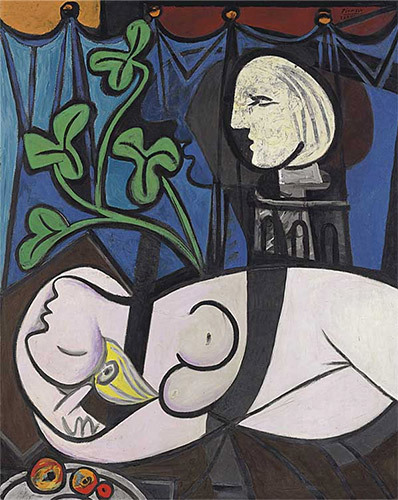 Of the art works, 83 percent were sold via Christie's and Sotheby's. Three out of four artists were born in Western Europe or the USA. A group based in Austin, Tex. has developed a livability score for senior citizens. They say it is the first one developed specifically for seniors. That is a dangerous thing to assert since is a fairly obvious thing to do. They haven't looked very hard. I can think of several such scores that have been developed, as long as decades ago. Labels: Ann Kirkpatrick, Catherine Cortez Masto, Deborah Ross, Democrat, Heidi Fiske, Jason Kander, Maggie Hassan, Senate, U.S.